Due to back pain, Chris Telden has slept on shikibutons, futons, floors, air mattresses, and ergonomic beds, and has definite favorites. Traditional shikibutons are slim, rectangular cotton-stuffed sleeping cushions that are more versatile than the thicker futons most people know. 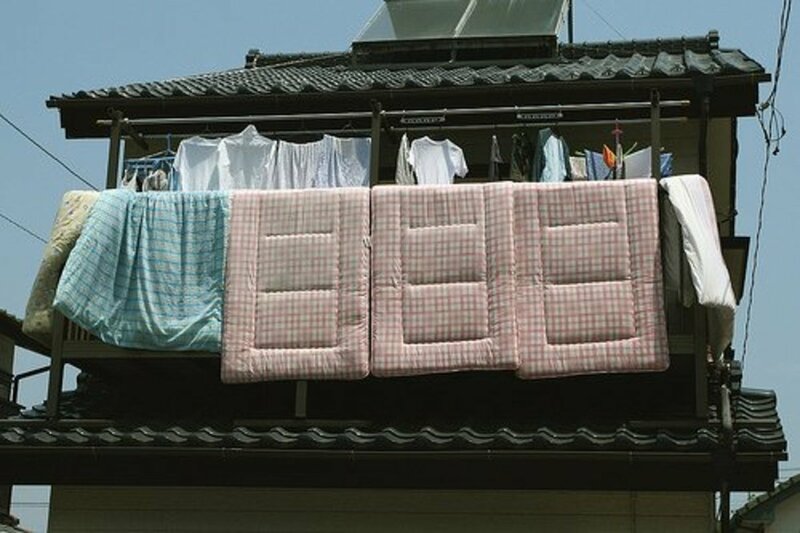 In Japan, these simple mattresses are part of a style of minimalist living that goes back centuries. 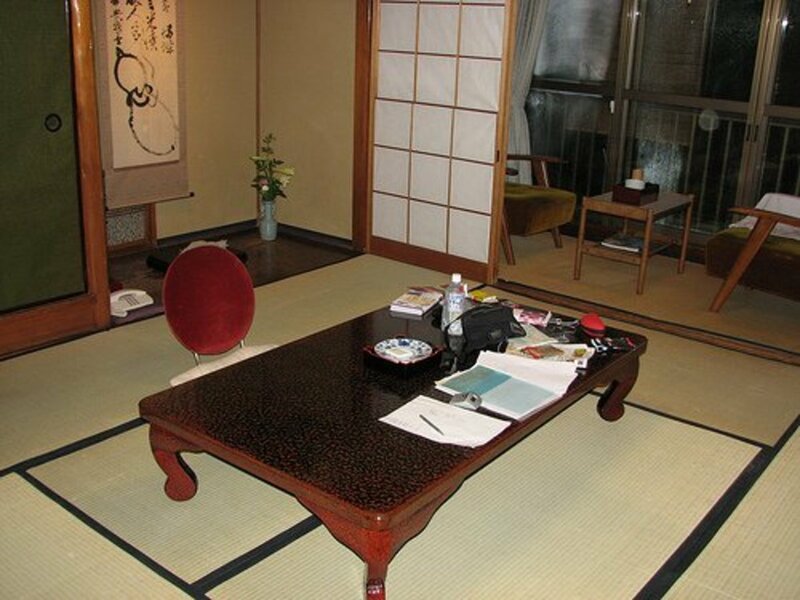 According to Handmade Style: Japan, a shikibuton is usually laid out on the floor atop a straw mat called a tatami mat and covered with a goose feather duvet and pillows, then, when not being slept on or used as a sitting cushion, folded up and stored in cupboards. What is a Shiki Futon Made of? Shiki futons are eco-friendly and made without synthetic fibers (foam) or innersprings. Stuffed with 100% cotton - if not always organic cotton - shikibutons are considered "green" by many. The cover is usually also 100% cotton, in a durable cotton duck weave, and often comes with a zipper to make re-upholstering easy. How Much Do Shiki Butons Cost? They are not exactly ridiculously cheap, but starting at a couple of hundred U.S. dollars for a twin size as of this writing, they range from reasonably inexpensive to quite expensive. Shikibutons that come with a removable cover cost more than those that don't. Those stuffed with wool or latex layers in addition to the cotton batting tend to be more expensive than the simple 100% cotton ones. Organic cotton 3" futons will cost more than those made of standard cotton, sometimes as much as double the price. This buyer's guide to shikibutons includes not just buying options for the shiki futon mattress and accessories, but also information about how to care for a shikibuton so it will last many years. In our search for minimalist bedding, we recently bought a shikibuton from a local natural beds supplier, and we love it. 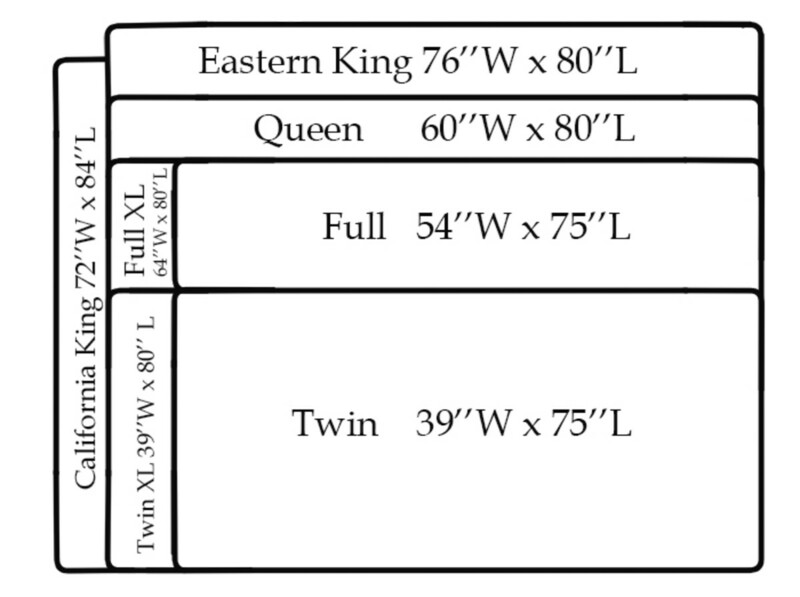 Actually, we bought two twin-size shikibutons and put them together to make a king size. After sleeping on too-soft beds and too-hard floors, and mattresses that grew mold, and other sundry issues, we decided the benefits of minimalist living outweighed the disadvantages of a traditional (for the West) bed system with box spring and thick mattress. We've had ours for about a month now, and think they're great. My husband is going to build a permanent bed frame for them. I'm surprised we're both so happy with our shiki futons, because I always thought I needed a soft, plush mattress for my back. But it turns out I find I have less back pain with the firm cushioning provided by our shikibuton pair. Note that out of the package, these thin futons can arrive squished and so don't spread out to their full size for several days. Some of them take up to two weeks for the futon to reach their full length after being vacuum-packed. We bought two 3" shikibutons and we will probably get another layer when the budget permits. Right now, we're sleeping on only a single layer, and I'm sleeping on a feather mattress topper too for added cushioning for side sleeping. The store where we bought our shikibuton, Soaring Heart, says that two layers can provide as much cushioning as a single futon - but with a lot more versatility. And I can see why. Update April 8, 2013: I just want to update everyone. We got our shikibutons around the time I wrote this article, almost three years ago. Unfortunately, we failed to maintain them. We didn't keep them on a tatami mat but put them directly on the floor. We also failed to roll them up every night...but still, we were very sad when they got musty and we had to discard them. The moral of the story is...I highly encourage you to place your shikibuton on a frame or a tatami mat and to air it out as much as possible. Also be sure to read the section in this article on caring for your shikibuton...I did not take my own advice and now I know what happens! What are we doing now? Well, believe it or not, we've rigged an unconventional solution. We're sleeping on layers upon layers of cotton batting. Yes, the stuff used to fill quilts. It feels almost the same - wonderfully firm - but what's more, it's washable-bleachable and totally customizable in size. We got ours from Amazon. But it's hard to roll and unroll without kinking it, so it's not ideal. 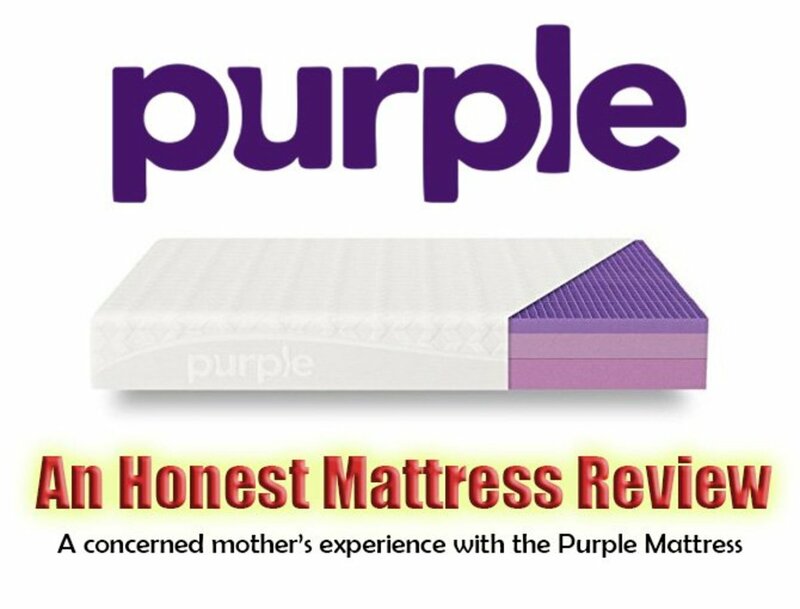 But better than foam mattresses, that's for sure! What is the Difference Between Shikibutons and Futons? Shikibutons are the real traditional Japanese futons. Sometimes spelled "shiki buton" or "shiki futon," these cotton-filled cushions are thinner than American-style futons, about 3" thick, and thin enough to be rolled and tucked out of the way when not in use. The 4" ones can be folded in thirds and stored. The standard 6" or 8" futons sold in most stores, on the other hand, are too thick to be rolled, weigh more, and tend to be a permanent part of the furniture - and thus take up more floor space. 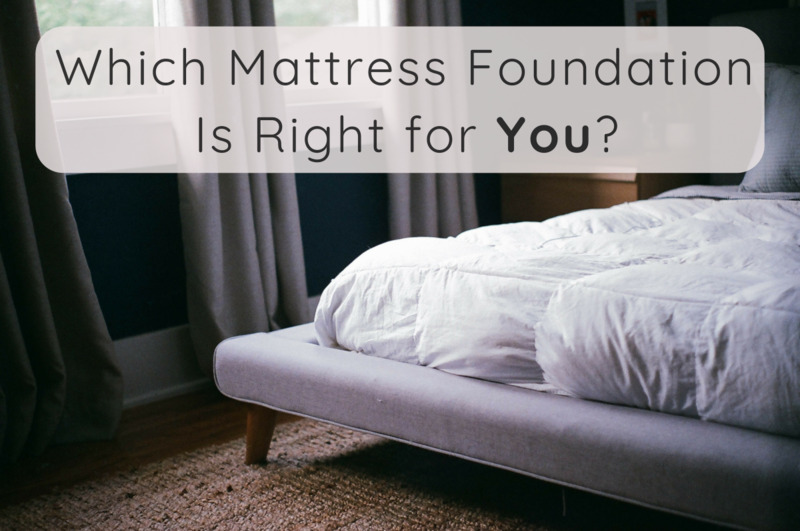 They are usually made with synthetic foam and/or innersprings, much like a regular mattress. If you live in a small, cramped area, like the flexibility offered by minimalist living, or are just trying to create an open-space feel inside the home, a shikibuton - or two of them piled on top of each other - is the ideal choice for a primary bed or guest bed. The mattress easy to store - just roll it up and put it away. Relatively lightweight and extremely portable, a shikibuton is easier to lift and move than a futon or traditional mattress. A twin size might weigh about 25 lbs. There's no off-gassing, as these slim futons are made of natural materials. Shiki futons make good guest beds as well as sitting cushions. Shikibutons are hard to find - they're not sold at most futon stores. They need regular turning and rotating to prevent moisture-absorption. Some sleepers may need two layers of shikibuton to be comfortable. Not everyone finds the firm cushioning provided by cotton padding comfortable. Have You Tried Sleeping on a Shikibuton? Did you find it comfortable? Please tell us why you liked it or disliked it in the Comments section. I love sleeping on a shikibuton. I think it's the best mattress ever. I like sleeping on shikibutons. I'd recommend them to a friend. Shikibutons are all right to sleep on - neither comfortable nor uncomfortable. I didn't really like sleeping on a shikibuton. It wasn't terrible, but I don't think they're for me. I hated sleeping on a shikibuton. Do people really sleep on these every night? I didn't like sleeping on a shikibuton, but I think it has potential with more layers or a different frame. Shikibutons can last a long time, many years, in fact, if treated with tender loving care. Because cotton fibers tend to get saturated with moisture and we lose up to a pint of water from our bodies as we sleep, these special mattresses need some special care to keep them dry and aerated so they don't clump or grow mold. Lay the shikibuton(s) on a breathable surface, such as a tatami mat or platform bed. Don't let the shikibuton sit in one place day after day. To keep it dry, flip it every week for the first couple of months and then once monthly. Or in the daytime, simply roll it up (or fold it up in thirds for the 4" "tri fold" futon mattress) and store it away. Sun it twice a year to bring the cotton "back to life" - and also to keep dust mites and mildew spores from becoming a problem. Lay it out in the sunlight on a sunny day over a bunch of chairs or on a table for a few hours on each side. Use a natural cotton shikibuton protective cover or pad to protect your shiki buton. All-cotton shikibutons tend to form dips where the body lies. If you lie in the same place every night, turn the shikibuton around (i.e., head to foot) every few days. Or "fluff" the shikibuton by hanging it up and beating it with a tennis racket. Fold the shikifuton in thirds during the daytime to help stretch the fibers you were just compacting while you were sleeping on them. If it has a protective cover, follow the cleaning instructions for the shikibuton cover. Spot clean any organic stains on the futon with a mixture of water and detergent. Then saturate the area with rubbing alcohol to help dry and sanitize the area. Shikibuton Frame or Tatami Mat? Traditionally, a Japanese futon is laid out on a tatami mat made of straw instead of housed in a frame. Check the dimensions of the shikibuton you buy and get one or two tatami mats to cover those dimensions. 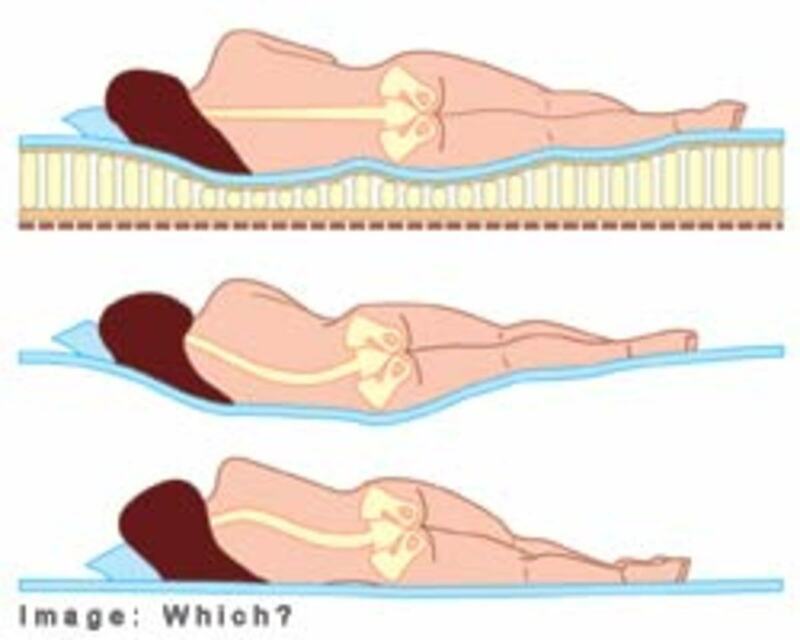 I have not tried one of the platform beds with slats, which some sleepers uses as a frame, but I suspect they may work better with two layers of shiki futons than with just one. Types of Shikibuton Arrangements: One Layer or Two? Shikibutons are futons for the minimalist. But they can be paired and set, one on top of the other, to mimic the cushioning of a regular Western cotton futon. If you need serious cushioning more like a traditional mattress, you'd do best to find a local shikibuton store that makes latex and cotton or wool and cotton shikibutons. What type of layering system do you prefer? Have You Compared Shikibutons and Regular Futons? Shikibuton vs. futon: What's your preference? Share why in the Comments section. I prefer traditional Japanese shikibutons. I prefer Western style futons, the thicker version of the shikibuton. Is a 100% wool-filled Shikifuton better than a cotton-filled Shikifuton? Would it last longer and prevent mold better? Will it be less likely to compact? My guess is a 100% wool-filled Shikifuton would last longer and prevent mold better and compact less. But it has the disadvantage of not being washable and of being allergenic for some. Beds in general, I think, are made to be temporary, because the most challenging part is keeping them clean. It's only in modern times that we keep them for years, because we have access to technology that keeps them supportive for longer, yet the challenge remains to keep them fresh. Where can we buy the shikbutons? This information is good but it would be nice to have a link on where to buy them. Currently living in Japan and a year in still to figure out the best sleep system. I knew I wanted futon and growing up we had the thick Western style. When I stayed at a hostel in Tokyo I fell in love with the thin Japanese style futon. It was layered, one thin on top of one thick but was maybe only a few inches all together. On top of tatami it was so soft and supportive and warm with the fluffy top futon. But so far my bed is too firm and thin. I slept on a twin on a laminate floor just fine for a few months before getting a double but it felt even thinner than the twin, so I folded the twin too and bottom futon under it and it was much more comfortable. Worried about mold I elevated it all on slatted platforms like a bed frame - so far no mold! I'm sure I should sun it soon though. Guests are coming so I pulled the single out to launder it and the double by itself is uncomfortably thin on the slats. I bought a 4 cm latex futon topper to put under it and it was too thin and soft, I could still feel the slats. Now I have a foldable mat under that is too firm. Idk what to do. Are there any futons made with goose down? Would it be alright to lay tatami mats on top of carpet, then the shikibuton on top of the mats? I have a wooden frame that came with an old shikibuton and a newer shikibuton I bought about 6 months ago, all queen (JP size). I believe the older one (tag had manufacture date of June 1998 (it's 18 years old!!!)) is made of at least partial synthetic materials because of the way it feels and such. The newer one is all organic cotton that I had shipped from a family business in Japan. The frame is capable of folding in thirds partially. Like for if you want to elevate your feet or sit up. I live in the US with a carpeted room, so plopping the shikibuton on the floor is a no go, unfortunately. I use both shikibuton, the older underneath the newer. The older one smells, well, old. Not musty or moldy or smokey (from previous owner(s). I've had it for around 3 years). Just old. The newer one is very soft and plush, so you can feel the horizontal slats easily, so I have a two-"mattress" system. The older one is very firm and hard, which is why I think it's probably part synthetic. I try to take really good care of them, and it seems like I have been, since they're in just about the same condition as I got them. Every day I fold 'em up and throw all my blankets elsewhere so they can breathe when I'm not using them. And when it's nice outside I'll lug them outdoors and throw them over some chairs so they can bask in the sun. Although, I live in the Cascade mountain range, so not much of Mr. Sunshine in the winter... I don't beat them, because I've heard from a couple of different places that it can damage them. I'm sure light beatings would be okay, or some puffing/fluffing. Even though they're a bit of work and persistence, they're the best thing that's ever happened to me. Seriously the best sleep I've ever had. When I was younger, I was reaaaallly picky about my beds. I wanted it firmer, but softer. I hated springs and I hated foam. A lot of the times I'd just throw some blankets on the floor and then sleep on top of those. But now my bed is comfort than the floor. I've also had a few friends (and my sister, cat, and dog) say they loved my bed. That it was so comfortable and felt great on their back. I don't know why, but I never thought of getting tatami mats to put underneath. That might be a really good idea. Then I can ditch the bulky queen frame. But is it okay to put tatami on carpet? I currently live in Japan, so shikibuton make up my sleeping routine. I had an old, thin, foldable shikibuton as well as a newer (but also thin) shikibuton, but it wasn't quite enough cushioning for me. I bought a newer, thicker shikibuton. It provided more support, but was too firm on its own. I ended up putting my newer thin one on top of the brand new thick one. The arrangement is definitely better than any western mattress I've slept in. To be fair, though, I always owned low-end mattresses growing up because we had a tight budget, so I can't speak to the comparative levels of comfort between traditional Japanese futon and a Western box-spring and mattress set, let alone something like memory foam.